There's no doubt that the breakout feature of Samsung's Note II is multi-window, which allows users to run two apps side-by-side on the device's massive 5.5" display. 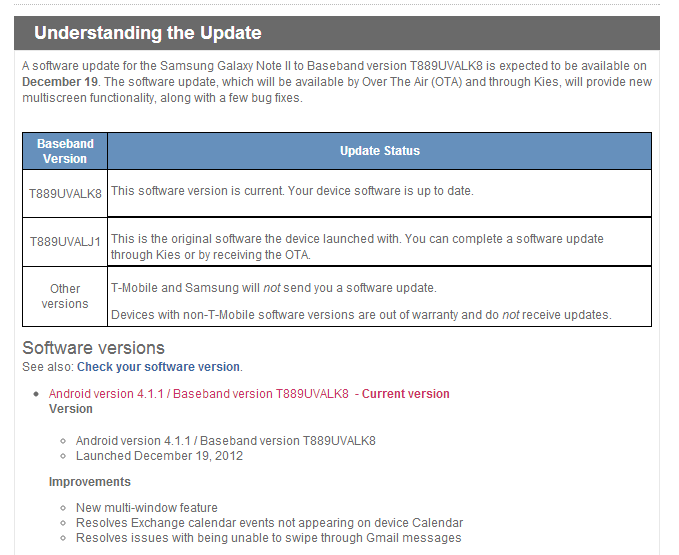 The thing is, this isn't yet available on all versions of the Note II, though Samsung has been doing a pretty good job of getting updates ready and rolling out to all the different variants. 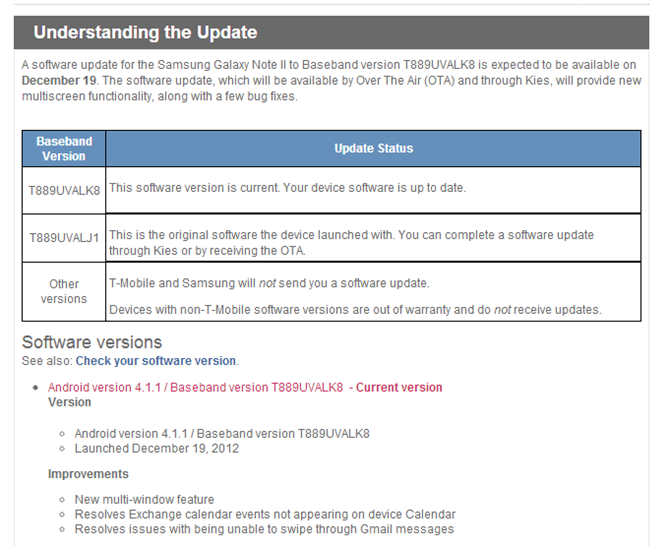 Beginning on Wednesday, December 19th, T-Mo's Note II is next in line to receive multi-window in an OTA update. This will bump the device up to build T889UVALK8 - which is still Android 4.1.1 - and also brings a solution for an Exchange calendar sync issue, as well as an issue that prevented users from being able to swipe through emails in Gmail. The update will likely be available both OTA and via Kies - we'll let you know as soon as it's officially available.